Lost Evenings; Lost Lives by Aazhiyaal, Theva Abira et al, translated from Tamil by Lakshmi Holmström and Sascha Ebeling, published by Arc Publications, October 2015. Shortlisted: Elizabeth Pisani’s Indonesia Etc. The Stanford Dolman Travel Book Prize promotes travel writing of literary merit that instills a sense of place, excitement and wonder. Indonesia Etc., Elizabeth Pisani’s revelatory account of her travels in Indonesia, is on the 2015 shortlist. Tony Maher, Managing Director of Stanfords, the world-famous map and travel bookshop in London, praised it as offering readers in the West a glimpse the realities of life in a country remarkably unknown to them. 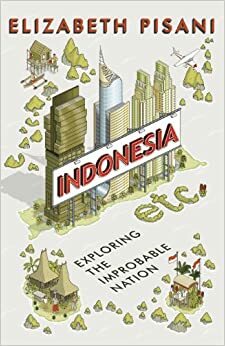 About the book: Indonesia Etc. tells of an entertaining and fascinating journey through one of the world's largest, most dynamic and most contradictory countries. Elizabeth Pisani travelled over 13,000 miles, to investigate Indonesia’s enduring attraction, and to find the links which bind together this disparate nation. Her writing is fearless, funny, and sharply perceptive; she has drawn a compelling and deeply informed portrait of a captivating nation. About the author: Elizabeth Pisani was Indonesia correspondent for Reuters and the Economist from 1988 to 1991. She worked with Indonesia's Ministry of Health from 2001 to 2005 as an epidemiologist, and spent 2011 travelling the archipelago. Pisani speaks Indonesian. Daunt Books has reissued in paperback a title that was much praised when it was first published in 1932. 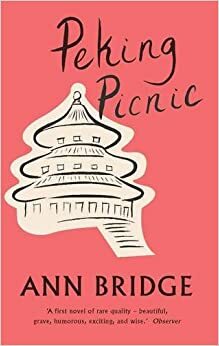 About the book: Peking Picnic concerns a privileged Western woman forced to confront the realities of life in the East. Laura Leroy, wife of a British attaché, leads a divided existence, torn between her beloved home in England and diplomatic society in Peking – perhaps slightly exoticised in the novel as an ancient city of exquisite allure. When Laura joins a group of expats on an expedition to the great monastery at Chieh T’ai Ssu, they become intoxicated by the mysterious beauty of the Chinese landscape in spring, and by one another. But far from the comforting whirl of cocktails and picnic parties, they soon encounter a shocking clash that threatens the security of their newfound bond. The novel captures the unfamiliar thrill of a new city, the excitement of secret love, and the everlasting tension between the old and the new. About the author: Ann Bridge was the wife of a diplomat who was posted around the world. Peking Picnic, her first novel, was an immediate success and won the Atlantic Monthly Prize. She went on to have a distinguished and prolific writing career, and continued to travel the world. She died in 1974. As reported last week, Amazon has decided to pay self-published authors of kindle edition eBooks by number of pages read – while still charging the full download price, and pocketing the extra income. Now it has been revealed the company may pay some authors as little as $0.006 per page. This has caused yet more outrage. Click here for an interesting discussion of the issues by Alex Hern for the UK Guardian newspaper. Do you run a blog you think may be of interest to readers of Asian Books Blog? If so, get in touch, preferably via e-mail - asianbooksblog@gmail.com - because I want to include a weekly blog spot on Sundays. The idea is to invite administrators of relevant and interesting-sounding blogs to write a paragraph about their blog, to be posted in the blog spot.